No two marriages are the same, and so it only follows that no two divorces will be the same, either. 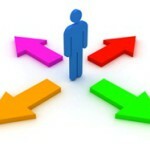 In fact, if you are contemplating divorce, you have several options about how to proceed. In general terms, you need to consider four broad categories of divorce alternatives: Do-It-Yourself (DIY), Mediation, Collaborative and Litigation. Let’s take a look at the pros and cons of each one. The best advice I can give you about Do-It-Yourself Divorce, is DON’T Do-It-Yourself! Divorce is very complicated, both legally and financially. You can easily make mistakes, and often those mistakes are irreversible. The only scenario I can envision when a Do-It-Yourself divorce may make any possible sense, might be in a case where the marriage lasted only two or three years and there are no children, little or no assets/debts to be divided, comparable incomes and no alimony. In a case like that, a Do-It-Yourself divorce could be accomplished quite quickly and inexpensively. Nevertheless, I would still highly recommend that each party have their own separate attorney review the final documents. In divorce mediation, a divorcing couple works with a neutral mediator who helps both parties come to an agreement on all aspects of their divorce. The mediator may or may not be a lawyer, but he/she must be extremely well-versed in divorce and family law. In addition, it is critical for the mediator to be neutral and not advocate for either party. Both parties still need to consult with their own, individual attorneys during the mediation and prior to signing the final divorce settlement agreement. 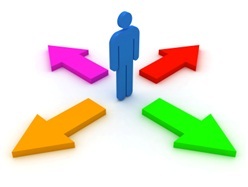 Here are a few pros and cons to consider before deciding if mediation will work for you. Result in a better long-term relationship with your ex-spouse since you will not “fight” in court. Be easier on children since the divorce proceedings may be more peaceful. Help you stay in control of your divorce because you are making the decisions (and the court isn’t). Allow for more discretion. Mediation is private; litigated divorce is public. Waste time and money. If negotiations fail, you’ll need to start all over. Be incomplete or unduly favourable to one spouse. If the mediator is inexperienced or biased towards your spouse, the outcome could be unfavourable for you. Result in an unenforceable agreement. A mediation agreement that’s lopsided or poorly drafted can be challenged. Lead to legal complications. Any issue of law will still need to be ruled upon by the court. Fail to uncover certain assets. Since all financial information is voluntarily disclosed and there is no subpoena of records, your spouse could potentially hide assets/income. Reinforce unhealthy behaviour patterns. If one spouse is dominating and the other is submissive, the final settlement may not be fair. Fuel emotions. Mediation could increase negative behaviour of a spouse with a propensity for physical/mental or drugs/alcohol abuse. Couples often hear about the wonders of mediation and how it is reportedly a better, less contentious, less expensive and more “dignified” way to get a divorce. However, my biggest problem with mediation is that the sole role and goal of the mediator is to get the parties to come to an agreement –any agreement! Remember, the mediator cannot give any advice. All they can do is try to get you to agree. Unfortunately, not all agreements are good agreements, and in fact, in many cases, no agreement is better than a bad agreement. So unless both parties can be fairly reasonable and amicable (and if they can be, why are they getting divorced??? ), I believe that mediation is usually not a viable option for most. Simply put, collaborative divorce occurs when a couple agrees to work out a divorce settlement without going to court. During a collaborative divorce both you and your spouse will each hire an attorney who has been trained in the collaborative divorce process. The role of the attorneys in a collaborative divorce is quite different than in a traditional divorce. Each attorney advises and assists their client in negotiating a settlement agreement. You will meet with your attorney separately and you and your attorney will also meet with your spouse and their attorney. The collaborative process may also involve other neutral professionals such as a divorce financial planner who will help both of you work through your financial issues and a coach or therapist who can help guide both of you through child custody and other emotionally charged issues. In the collaborative process, you, your spouse and your respective attorneys all must sign an agreement that requires that both attorneys withdraw from the case if a settlement is not reached and/or if litigation is threatened. If this happens, both you and your spouse must start all over again and find new attorneys. Neither party can use the same attorneys again! Even if the collaborative process is successful, you will usually have to appear in family court so a judge can sign the agreement. But the legal process can be much quicker and less expensive than traditional litigation if the collaborative process works. Unfortunately, though, I have found that the collaborative method often doesn’t work well to settle divorces involving complicated financial situations or when there are significant assets. In collaborative divorce, just as in mediation, all financial information (income, assets and liabilities) is disclosed voluntarily. Often one spouse controls the “purse strings,” and the other is generally unaware of the details of their financial situation. When this kind of inequality exists, the door is often wide open for one spouse to hide assets. What’s more, many high net worth divorces involve businesses and professional practices where it is relatively easy to hide assets and income. Additionally, the issue of valuation can be quite contentious. You suspect your spouse is hiding assets/income. Your spouse is domineering, and you have trouble speaking up or you’re afraid to voice your opinions. There is a history or threat of domestic violence (physical and/or mental) towards you and/or your children. You or your spouse has a drug/alcohol addiction. The fourth divorce option is the most common. These days, the majority of divorcing couples choose the “traditional” model of litigated divorce. Why are lawsuits a part of divorce? Because contrary to popular belief, divorce usually does not involve two people mutually agreeing to end their marriage. In 80 percent of cases, the decision to divorce is unilateral – one party wants the divorce and the other does not. That, by its very nature, creates an adversarial situation right from the start and often disqualifies mediation and collaborative divorce, since both methods rely on the full cooperation of both parties and the voluntary disclosure of all financial information. Clearly, if you are starting out with an adversarial and highly emotionally charged situation, the chances are very high that collaboration or mediation might fail. Why take the risk of going those routes when odds are they might fail, wasting your time and money? The most important and most difficult parts of any divorce are coming to an agreement on child custody, division of assets and liabilities and alimony payments (how much and for how long). Although you want your attorney to be a highly skilled negotiator, you don’t want someone who is overly combative, ready to fight over anything and everything. An overly contentious approach will not only prolong the pain and substantially increase your legal fees, it will also be emotionally detrimental to everyone involved, especially the children. Remember: Most divorce attorneys (or at least the ones I would recommend) will always strive to come to a reasonable settlement with the other party. But if they can’t come to a reasonable settlement or if the other party is completely unreasonable then, unfortunately, going to court, or threatening to do so, might be the only way to resolve these issues. If you have tried everything else, and you do end up in court, things can get really nasty and hostile. Up until that point both attorneys were “negotiators,” trying to get the parties to compromise and come to some reasonable resolution. But once in court, the role of each attorney changes. Negotiations and compromise move to the back burner. Their new job is to “win” and get the best possible outcome for their client. And don’t forget, once you’re in court, it’s a judge who knows very little about you and your family that will make the final decisions about your children, your property, your money and how you live your life. That’s a very big risk for both parties to take –and that’s also why the threat of going to court is usually such a good deterrent. Here’s my last word of advice about divorce alternatives: Weigh divorce options carefully. The bottom line is that every family, and every divorce, is different. Obviously, if you are able to work with your spouse to make decisions and both of you are honest and reasonable, then mediation or the collaborative method may be best. But, if you have doubts, it is good to be ready with “Plan B” which would be the litigated divorce.